The Indian Student Association represents the Indian community here on campus. We aim to represent the diversity of Indian culture in Boulder by means of organizing various cultural events and activities. We provide support and encouragement towards the members of our community. 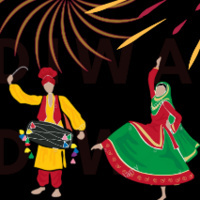 Diwali is one of the most awaited events organized by ISA, allowing students on campus to experience Indian culture closely. There are performances, Bollywood DJ and of course food!